An oceanfront vaulted greatroom floods the villa with natural light and stunning views through 30 feet of sliding glass doors. A recently upgraded kitchen offers all the modern appliances you would expect, as well as dishware, cookware, and cutlery. The living area is furnished with a wall-mounted flat screen TV, plush couches, and a sleeper sofa for small children only. 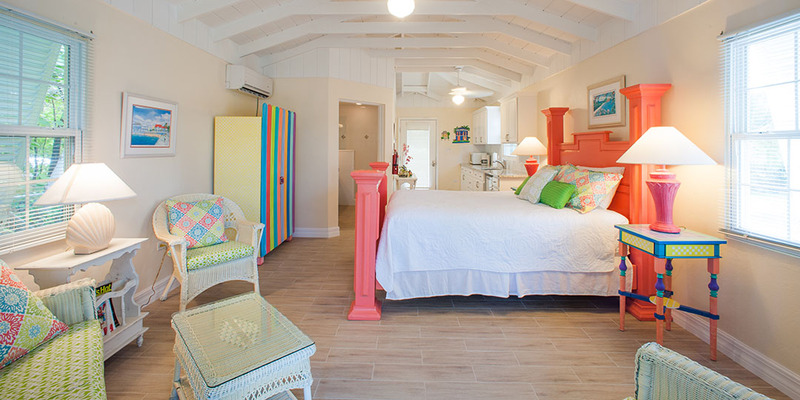 Centrally located, the homes in Old Man Bay offer perhaps the best shore diving and snorkeling on the entire island. The beaches are mostly sand, but can also have some natural rock formations too. Either way, with the varied marine life we have in the water, you will want to wear foot protection (pool shoes or fins). The beaches here offer great seashell collecting and turtle sightings in summer! Old Man Bay is only 5 minutes from 2 large resorts in the east end (Morritt's and The Reef) that offer manicured beaches as well as restaurants, a modern grocery store, liquor store, gift shops, a Subway sandwich shop, and a cafe/pastry shop. These two resorts also offer scuba, snorkel trips, jet skis, wind surfing, kiteboarding, ocean front pools and bar service. Heading west, Kurt's Korner is a local restaurant within walking distance. Over the Edge restaurant is about one mile further west offering breakfast, lunch, and dinner menus at affordable prices. Another 15 minutes west of Old Man Bay is the famous Rum Point Club with water sports, restaurant bar and grill, a gift shop, and a barefoot beach with table service. We were a group of 4 couples and rented the cottage too. The house is laid out so perfectly for a big group with all kinds of open space so you never feel cramped. There are so many places to sit and lounge we could all gather and relax in every space - inside the house - on the pool deck - on the raised patio - on the beach - or in the gazebo there was seating for 12. The great room with kitchen, dining, entry/exit, living and den \"all in one\" is huge. The great room opens to the pool with sliding doors all across the sea side wall with the most amazing view of the beach and ocean. The house is in really good shape with nice furniture but not so nice you are afraid to live on it. The kitchen is well equipped - although I missed my Kuerig single serves - but the coffee pots both worked. We really appreciated the laundry and ice maker. 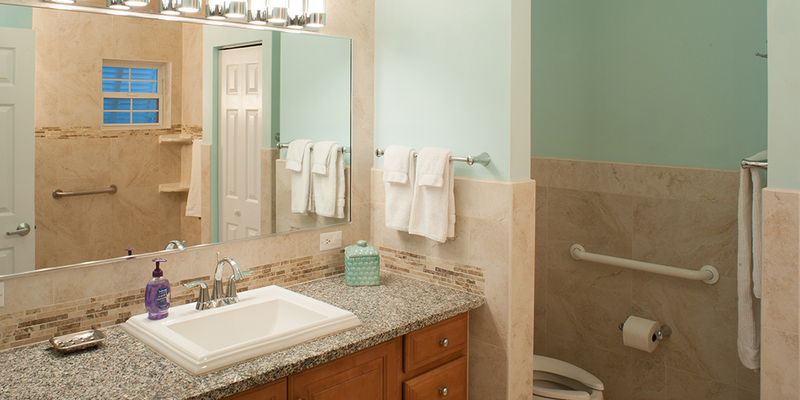 A bathroom for every room is a big plus. If you want to be in the middle of the cruise crowd in town - this is not the place for you. BUT, if you are like us and want to have your own private beach and pool, bring your own party, make your own noise then Cayman Sands is the perfect place. 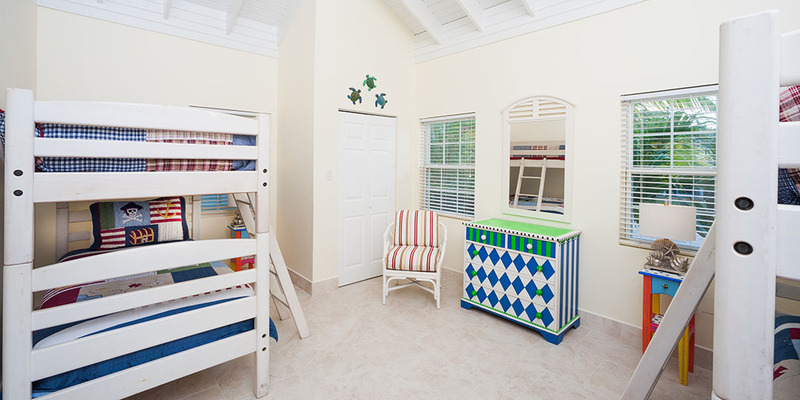 Cayman Sands is a wonderful choice for a group of young couples or family with seniors to kids. The house is a single story and very accessible for those with access needs. There is even a boardwalk to the beach to get down to the ocean side gazebo. The pool is fully screened and enclosed to keep out the no-see-ums at sunset (the only time we saw any bugs). Booking is easy and secure. We had a couple of problems with the house we called and they were fixed immediately. Dining there are great options on the east end and at the Kai recommend doing the Sunday Brunch at the Lighthouse. Definitely go to Tukka\'s in the evening for dinner for a once in a lifetime chance to feed the birds then eat a fabulous meal. Kaibo for dinner - reservations for upstairs or eat on the beach level. 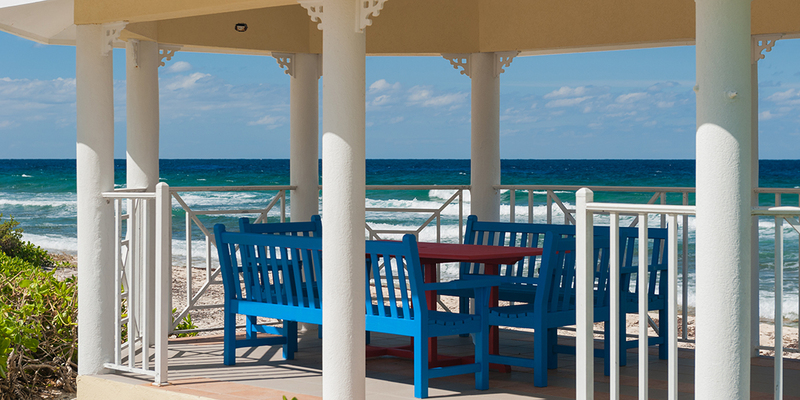 Burgers and beach food at Cayman Kai is worth a day or night meal. 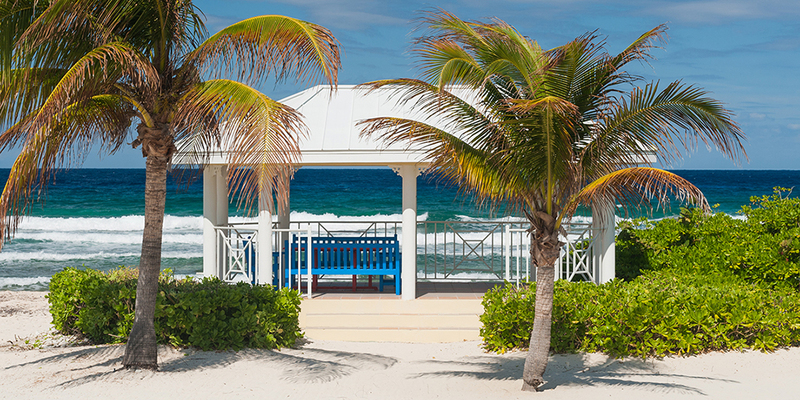 We traveled to Grand Cayman last week and stayed at Cayman Sands. If you are looking for a great house with a pool and secluded beach this house if for you. We traveled with another family of four (8 total) and the house sets up perfectly with two master suites and separate bedroom on each side of the house so we each family really had their own space with family room, kitchen, and pool in the middle. For larger groups the guest house would also give and additional family private space. The house is very well stocked and has everything that you need for cooking, pool, beach, as well as several coolers, snorkel gear, etc. I also wanted to mention that the management company was great to work with for the entire trip. Due to flights over spring break they worked with us to move our stay from Saturday to Sunday. We used the complementary work out room at Silver Thatch quite a few times and also booked charter boats through them. Overall, both family\'s had a great time and we will certainly return in the future. The house has set a new standard for my family and I am afraid I will have a hard time finding a house that compares with Cayman Sands. The layout of the rooms and the common areas were large and inviting. 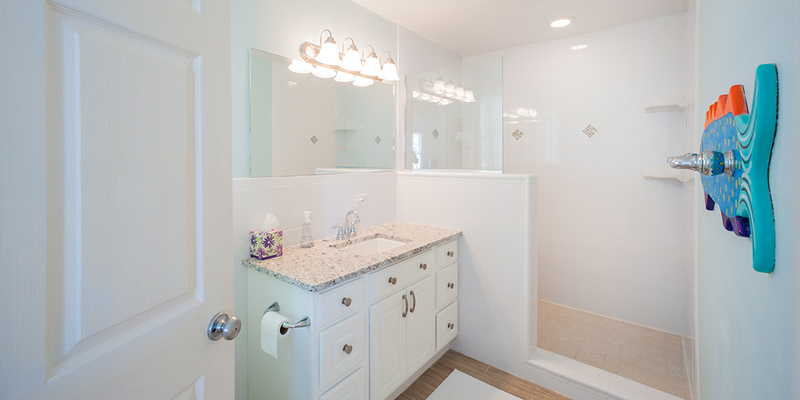 The property was very well maintained inside and out. The house was better than the pictures. It was very clean and comfortable. The sand was white, the gazebo had a nice breeze for the massages we had out there. The only negative was the beach entrance was rock and coral so not a good wade and stand spot but they totally enjoyed the kayaks. The house has some water shoes, that helped alot. It was about 30 to 45 minutes into 7 mile beach area. 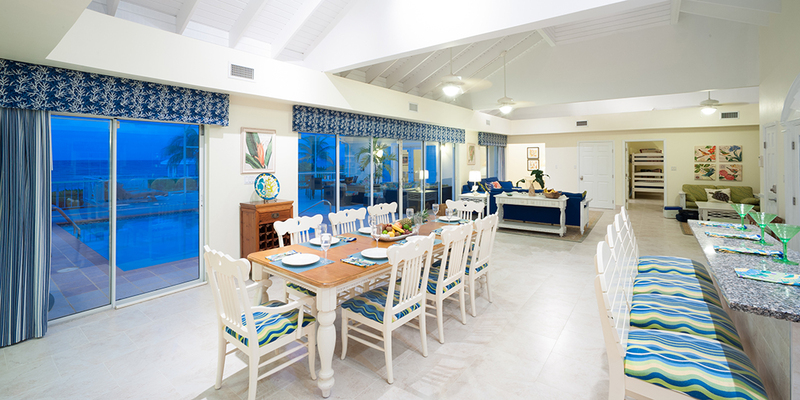 We chose the Cayman Sands house for our family of 11 including three under 5 years old. The 2nd week we had a group of 8 adult friends. This house was perfect for both groups. The enclosed pool area was a wonderful gathering space. We also had our yoga teacher conduct morning yoga in there. It also was a great space when the chef set up our beach bbq and after dinner s\'mores. When we had questions, the house manager was quite responsive. We loved the restaurants nearby also! We had groceries and liquor delivered as well as some baby equipment. It was an amazing two weeks and we can\'t wait to return! We will definitely rent this house again! Thanks to Cayman Sands and all the people who had a hand in our fabulous trip. Thank you for your kind words. It was our pleasure to help! Please come back soon! Cayman Sands was our home away from home for 2 weeks over Thanksgiving 2018. The house was perfect for our family. The outdoor space-pool, beach-was perfect for kids playing in the sand, sport activities, etc. Kayaks were a fun addition. The house itself fit our family of 11 including babies perfectly! Any call or concern to Silver Thatch or the house manager were answered practically before I hung up the phone and each of our requests were fulfilled with no problem! Very responsive and that is very reassuring when you are away from home. We also had the guest cottage and things were made perfect for us. 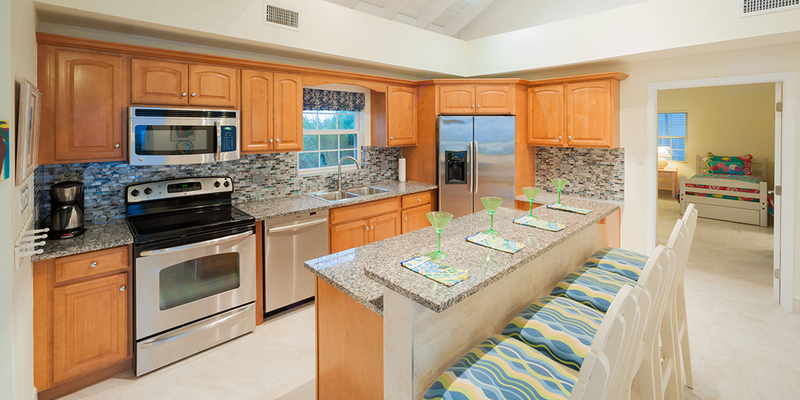 Cayman Sands has a great team and we would love to rent this lovely home again!!! Thank you so much! Thank you for your kind review. We would love to have you back again soon!! The house was amazing and we enjoyed every minute. The owner was fantastic and made sure that if we needed anything, we were promptly taken care of. Couldn\'t ask for anything better. Definitely looking forward to coming back again. This house was amazing! Had everything you could possibly need for a wonderful vacation away from home. Kayaks on the beach, life preservers, beach chairs, beach shoes, a hose for getting off the sand, beach towels, great screened-in pool set up. The kitchen had everything you could wish for to prepare meals for our family. 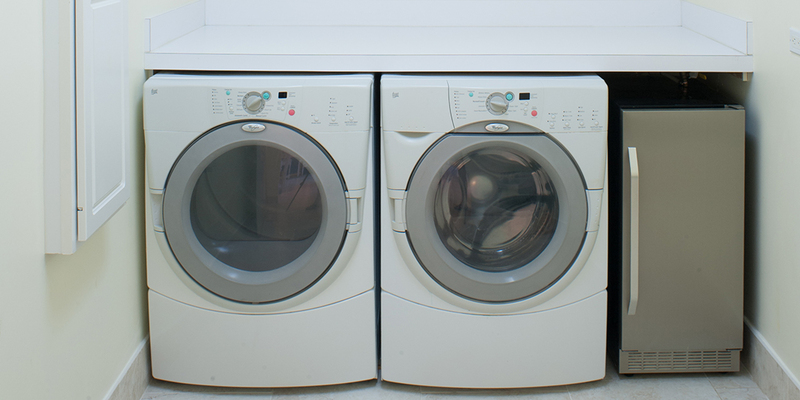 They had a washer & dryer & an ice maker! Very considerate hosts. Can\'t say enough about how nice the house & cottage were. Perfect for our family of 10. Also, we were a little concerned that the location was far from the \"action\", but this proved to not be the case. Everything was easily reached. Oh, and the rental agency lent us coolers & swim fins for free! This house was perfect for our family of 10. It was exactly as promised, but better. The house was amazing. The floor plan made it very comfortable for us. The very thoughtful owners provided everything we could wish for - kayaks, life preservers, beach chairs, beach towels, beach shoes, sun screen lotion, easy access with a code instead of a key. Oh, & to my delight -they provided nightlights in all the rooms! The kitchen had everything we could wish for to cook for our crew. They have a washer & dryer, and an ice maker. There were coolers, games for the kids, & books to read. The rental agency also was extremely helpful. They gave us coolers & swim fins to use for free! 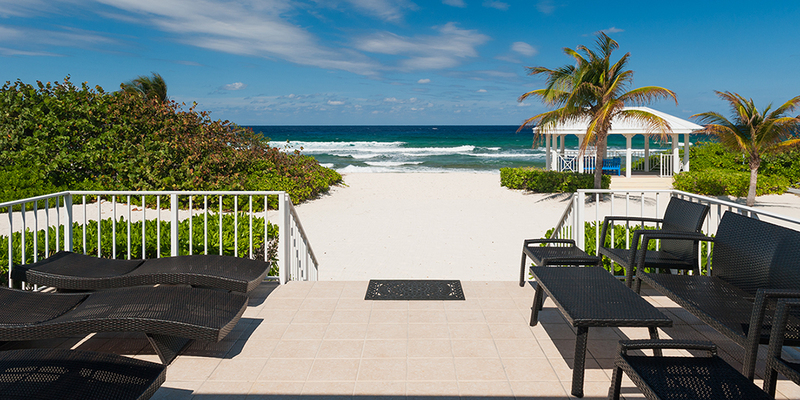 It was easy to book this reservation and very easy dealing with Grand Cayman Villas. We did a lot of snorkeling at the house and other beaches around the island. The blow hole was fun! We rented a catamaran (Sail with Friends) for a day & they took us to the sting rays & starfish! Very much fun! Restaurants were great-went to Tukka, Brassierie, Ray\'s Dive In, On the Edge, a food truck & the restaurant at Rum Point. All were very good! We also were able to do the Bioluminessence tour. Fabulous experience! This was one our best vacations! The house was equipped with everything needed for a great time except the people to enjoy. The snorkeling out from the house was phenomenal. I highly recommend this property for a quiet getaway. Very relaxing. Perfect vacation! Thank you for your review. 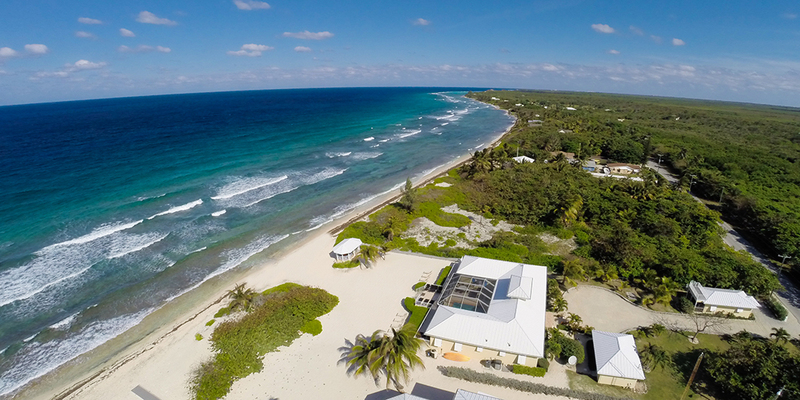 Cayman Sands has been a popular home on our website for years! The owner takes great care of the home! Nice, centrl location too. Cayman Sands was the perfect escape for our family. From the moment you walk up to the front doors, you can see directly through the house and out to the ocean. The layout of the house and grounds was incredible...providing everyone with more that adequate room to spread out whenever we wanted. From the open concept living areas (including kitchen and dining) to the private bedroom areas, the design of the house is conducive to being together or being alone. And no detail has been left out...lots of beach towels, coolers for day excursions, dinnerware, outdoor furniture, etc. A lot of our time was spent in the gazebo either relaxing in the hammocks or eating meals. Right off shore is perfect kayaking, snorkeling or shore diving. Cayman Sands will definitely be a place that we will visit again! Just arrived home from a week\'s vacation with our children and grandchildren and here are the words used to describe our time on Grand Cayman and Cayman Sands. AWESOME, AMAZING, FANTASTIC and BEST VACATION EVER. This property is large, spacious, CLEAN and well stocked. We were a party of 12 ranging in age from 5-74 and everyone had room to relax and have a great time. The kitchen had (almost) everything you could ask for. The only thing missing was a slow cooker/crock pot so you could prepare your dinner in the morning, explore the island during the day and come home to a hot meal ready to eat. We enjoyed staying on the North Shore because it was very peaceful and less congested than Georgetown. Rum Point has a fantastic beach with lots of activities for all ages. Stingray city, the Reef and Starfish Point are a must do....We recommend Crystal Seas Charters, they were awesome and truly went out of their way to give us a once in a lifetime experience...thanks Hayden & Jack!! 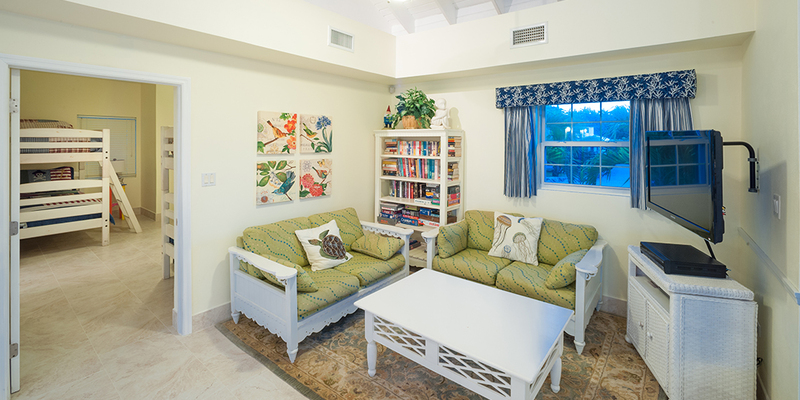 Cannot give VRBO & Grand Cayman Villas enough kudos for the booking process and customer service they provided. Great companies to work with. Will use them again for future travels. This property is fantastic. Well stocked and large rooms. GREAT! The Andersen, Matson & McWilliams\' families just returned from our Cayman vacation. Here are the words everyone used to describe the time we had on Grand Cayman and at the Cayman Sands. AMAZING, AWESOME, SPECTACULAR and the BEST vacation ever. Our party consisted of 12 people ranging from 5-74 and we had more than enough room to spread out and enjoy all this house had to offer. The kitchen was fully stocked with more than enough to accommodate a family of this size. The only thing that would have been a great addition to the kitchen was a slow cooker/crock pot so that you could make your meal in the morning and then play all day and come back to a delicious hot meal ready to eat. Truthfully, this house exceeded our expectation in all ways...it truly was PERFECT! If you have a large family and want to enjoy the peaceful beauty of the North Shore on Grand Cayman then Cayman Sands is the place for you. I meant to write before now. I wanted to tell you thank you. My family had such a good time in Grand Cayman. We were the ones who got bumped from St. Thomas because of the hurricane. You were my first point of contact and you were great as well as the recommendations you made. We loved the house on the quiet side and Rum Point was probably one of our favorite beaches. We did yoga with Lindsey, snorkeling and kayaking. All of it was fun. We took someone in our group to the airport a day early and drove around seven mile beach. It reinforced that the house you recommended was the right choice for us. We’ll be back! The owners attention to detail is excellent. Our stay acomodated all of us comfortably with total privacy. 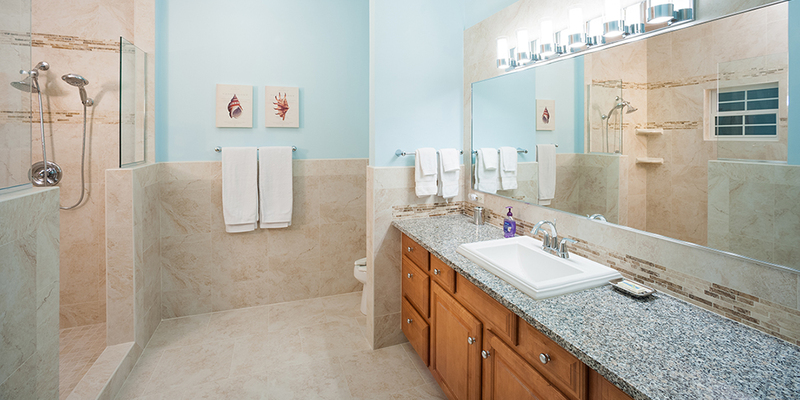 We enjoyed the homes open living & dining space, 5 bed/bath suites and overall layout. The proximity to Rum Point and area to run, ride bikes and use of kayaks was great. Thanks Scott for helping us choose this home. This house was amazing. We had 13 people in our group. The ages ranged from 2-60. We all loved it. Plenty of room for everyone sleeping, eating , visiting and playing games.There is a pool that is screened in and that was a great place to relax. The house has its own private sandy beach. Some enjoyed sitting in the covered cabana area. You do need sturdy sandals or water shoes for there is lots of broken shells and coral. We did the stingray trip, bioluminescent kayak tour and had Lindsay come to the house for a yoga lesson. This part of the island is definitely quieter, but you still have some good restaurant choices as well as a couple of small grocery stores. The kitchen is well stocked so we did make dinner at the house a few times. Our favorite beach was Rum Point. It has free beach chairs, hammocks, an area for ordering food and drink , bathrooms and lots of shade. Our group loves the beach but we don’t last long if there is no shade. We actually got bumped from St. Thomas because of the hurricane, but we were not disappointed at all. We had a great vacation! My parents had a condo on seven mile beach when we were young. This year my parents wanted to return to Grand Cayman. I researched for what seemed months and landed at Cayman Sands. My Dad has a very tough time getting around so it was important to have assistance bars in the bathroom and shower. Cayman Sands even has a dock/boardwalk to get out to the gazebo without having to walk on sand. He sat out there for hours watching the waves come in. It was fantastic to have all 11 of us all under the same roof (we did rent the guesthouse as well). Very clean and recently painted - lots of pool toys and kitchen has every utensil you would ever need! Best mattresses in a rental I have ever experienced as well as top notch linens and bedding. My kids missed school for two weeks to make this trip happen but the internet kept them working on their math facts while out. It was wonderful to be able to get my parents down to Cayman and have a home that they were comfortable in. Thank you to the owners for thinking about disabilities! It was a trip we will not forget and I hope to come back with my children again. We\'ve rented a fair number of houses in the Caribbean, and by far, Cayman Sands was the best. Great pool, awesome beach and the best equipped kitchen we\'ve ever seen in a rental property. Maintenance on beach/ocean-front properties is always a challenge, but the house/property were impeccable. Layout of the house was perfect for our 2 families. Everyone had a great time. We did 3 shore dives from the beach - great reefs (Julie\'s wall and Babylon). The only thing I would change about the house is that the sheer curtains in the bedrooms let in a LOT of light (if one group stays up and hangs by the pool or in the living area or when the sun rises at 6 am). We hung some of our dark dive towels which helped, but black-out curtains would be a great addition. family vacation with 11 adults and 3 children ranging in age from 2 to 82 years-old. Wonderful house with pool and private beach. It is located well off the beaten path. If you are looking for activities and night life in the city or on Seven Mile Beach then plan on taking a long drive. The house is located at least 45 minutes from the airport and busy shopping and dining areas. However, this house was perfect for our family. We saw a total of 8 people the entire week. Not 8 people on the beach but from the beach looking in all directions. The enclosed pool and sitting area, the tiled porch deck and the gazebo were wonderful for relaxing and gathering. There were pool toys and ample lounge chairs. There were two booster chairs for the children and a separate ice maker in the laundry room. There were two newer ocean kayaks with seat backs, paddles and life jackets. There was a new charcoal grill available. The pool depth goes from 3 to 6 feet with corner steps and a ledge which runs the length of the shallow end for children. The yard is all sand but the beach is not. Aqua shoes are a MUST. There were 10 pair of aqua shoes at the house ranging from child to adult sizes. The beach is rock, shells and coral. It can be difficult walking out into the surf navigating the rock ledges and coral. But this also provided amazing snorkeling less than 100 yards from the shore. We have chartered snorkeling excursions on other islands that could not match the experiences right off this house\'s shoreline. The separate cottage was a nice get away for my daughter and son-in-law who have not yet experienced the chaos of raising young children. There was a crib in one of the rooms in lieu of the listed single bed. The sleeper sofa was comfortable but located in the living room. It works much better in the spacious King or Queen rooms. There is one TV in the main house and one TV in the cottage. No TVs are in the bedrooms which was fine with us. CONT.. There are grocery, water-sport, and liquor stores only 5 miles to the East -- an easy drive (stay on the LEFT side). We rented 2 vans which we used for various day trips to other parts of the island. Check your cell phone service plan. We planned to use the GPS on our phones but only two of us had service. Consider renting a GPS when you rent your vehicle. This is an amazing house in a scenic remote paradise location. It worked perfectly for our family vacation and all were delighted with the experience. My wife and I stayed here with our daughter and 3 grandchildren ages 13, 9, and 6. Everything went quite smoothly from the online rental process until we departed. The villa layout was perfect for our group, providing plenty of privacy when wanted, but great shared areas for the whole group to spend time together. The pool area was absolutely perfect for our group, and the covered gazebo allowed us to spend time out of the sun right by the water. This house is perfect for a large group. We are a three generation family of 14 people ranging in age from 10 months old to 63 years old. The cottage was very convenient for the baby and parents and the layout of the main house gave everyone privacy plus room for all family time. The living areas allowed plenty of room for all of us to gather, play games, hang out, eat, and have fun together. The covered pool gave us a respite from the sun in the afternoons and away from bugs in the evening. The kitchen is well appointed--we all love to cook--the kitchen had everything and more! 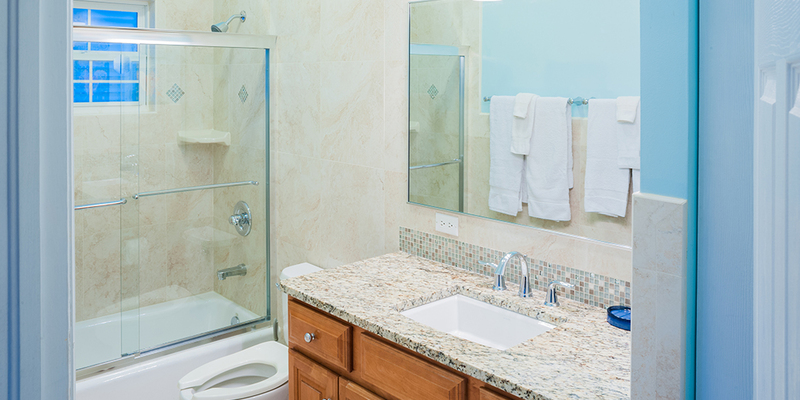 Cayman Sands is convenient to everything on the Island. You cannot beat the privacy of this beautiful home, the exquisite view of the ocean, and the beach all to yourself everyday! When we went to 7 mile beach for a day, our 8 year old grandson exclaimed, \"When can we go back to our own beach. This place is crowded with too many people!\" This side of the island is quiet, calm, easy going, and very limited commercial vendors--which we loved. 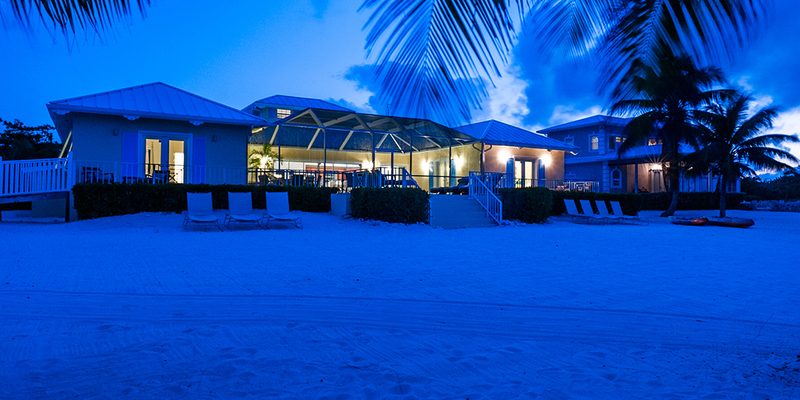 We stayed for two weeks and can\'t wait to return to Cayman Sands. 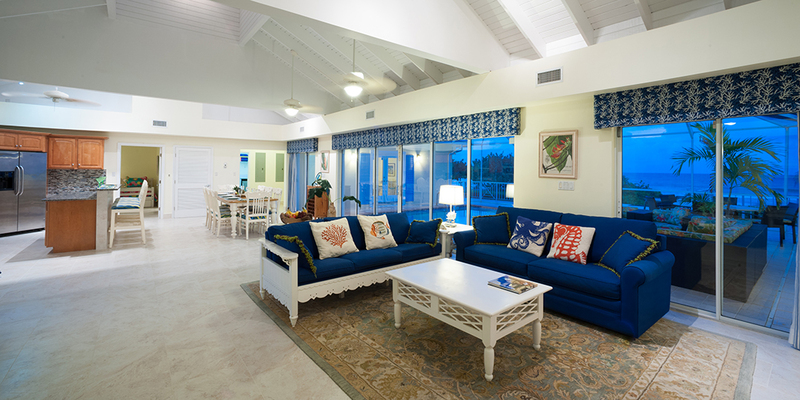 We had a great stay at Cayman Sands! The house worked perfectly for our two families. The kitchen was nicely stocked for the few nights we ate in, but we also enjoyed the restaurants over on this quiet side of the island - Tukka, Rum Point, Eagle Ray\'s, the Lighthouse, and Kurt\'s. We did venture over to Seven Mile Beach for activities on a couple of days but loved that we could retreat to the serenity of Cayman Sands. We enjoyed the beach, snorkeling off the beach, the pool, the gazebo and hammocks! No shortage of things to do right at the house. We also made use of the kayaks and floats. We also enjoyed \"local\" excursions to the Botanical Gardens, the Mastic Trail, Starfish Point, and Stingray City. Bring sturdy water shoes - Cayman beaches are very rocky and Cayman Sands is no exception. We only experienced very minor issues with a bathroom sink and shower both of which were addressed completely and promptly. 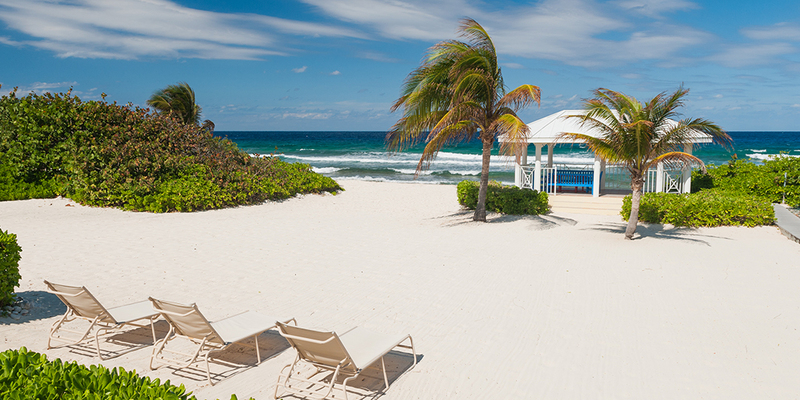 We would go back to Cayman Sands without hesitation! This place was just amazing, everything you could ask for. The only thing I would want added would be a patio umbrella or something to add shade to the pool area or beach area. We liked it so much that we came back. We have been renting from the property agent for years. 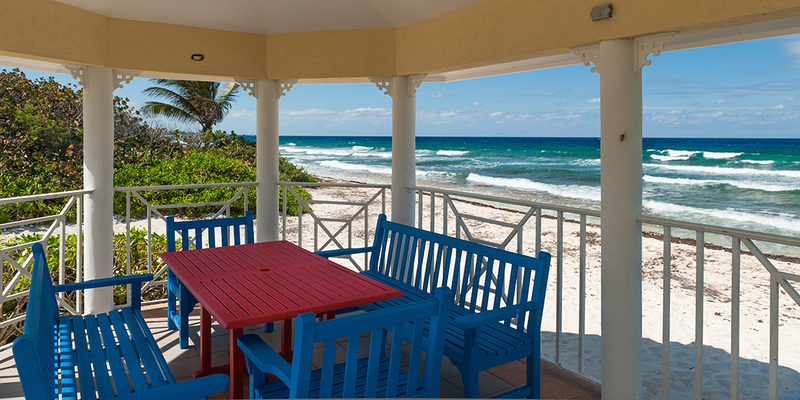 We rented Cayman Sands last year with friends, and we promptly booked it again for this year. The trip did not disappoint. The location was and is fantastic. It is not nearby the busy areas, which is exactly what we wanted. It is within convenient driving distance to a couple of smaller grocery stores, Rum Point, and a liquor store. If you enjoy cooking, as I do, then you will find the kitchen well-appointed with the ocean and pool area visible due to the open floor plan. The two suites on either side of the property provide quite a bit of privacy, and the ceramic-tile patio or sun deck extends along the entire ocean-facing side of the property, so each suite has a nice small sitting area outside french doors. The private beach is nice, as is the screened-in pool area. We particularly enjoyed watching sunsets from the gazebo. We\'ll be back. Memories for Our Family Forever! Vacations with extended families are always an adventure! 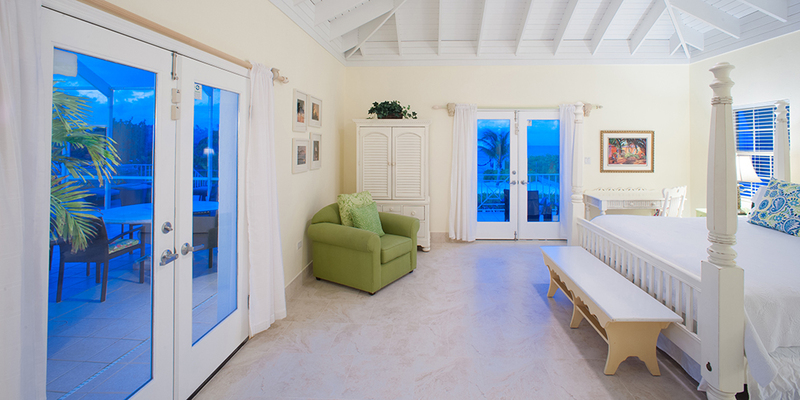 Staying at Cayman Sands provided the wonderful surroundings, warmth, comfort and amenities needed for a memorable stay. The privacy allowed our family to bond and enjoy each others company. We wandered the coastline on long walks and enjoyed the amazing views for hours. The screened porch was amazing for naps, the gazebo allowed conversation, a gentle breeze and more amazing views. The guesthouse gave the teens a place to hang out while still being close to the family. We want to thank the owners for maintaining a wonderful home, perfect for our family, a home we plan on revisiting in the future! Thank you Cayman sands for making this a memorable vacation. Our families not only enjoyed the island, but your home as well. It was absolutely beautiful and had all the amenities we needed and more! The kids enjoyed the pool and deck space, the ladies enjoyed the lounge chairs, and we all enjoyed the gazebo and hammocks ... Many a nap were enjoyed there. The home is in a great location with amazing views from sun up to sun down. We were all comfortable and relaxed and stress free. We highly recommend Slack \'em charters if guests are looking for a private fishing charter. Lastly we want to thank Grand Cayman Villas for their expertise, recommendations and professional service - nothing was left out! The pictures online were beautiful but I was speechless when I saw the home in person. Thank you, thank you , thank you! We look forward to visiting the home again. We had an amazing time at Cayman Sands. Great times, great friends, great weather. It was a trip we never imagined going on, and we were amazed at how much fun we had all week long - only wish it could have been longer!!! Thank you for the crib and booster chair as well! The kids referred to the home as Paradise the entire week - which pretty much says it all! Thank you! We had such a wonderful time at the house during our week, The kids were never bored and were always off on adventure, snorkeling, swimming, kayaking and more. It was a blessing to be at such a safe home - we never felt uncomfortable with letting the kids roam! So highly recommended to anyone thinking about renting this beautiful home. The layout was perfect! The living area was large. Cant say enough positive things about the home. We will be back! We had an amazing time! The house was perfect for our large group and it had everything we needed! This home is soooo accomodating! Our kids had so much fun swimming in the pool. So worth the trip. Cant think of a better place to have spent our vacation! Would recommend it to everyone. 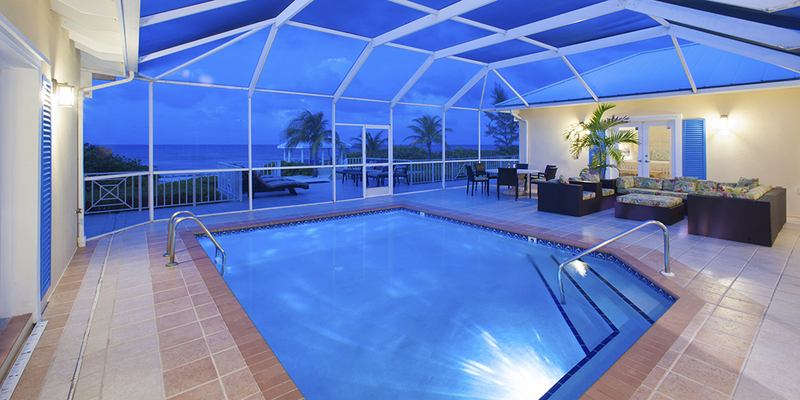 We loved every minute of our stay at Cayman Sands, especially the pool and the screen enclosed deck. We ventures around the island and recommend Rum Point, Starfish point, Stingray City sandbar, blow holes, the caverns, Smith Cove, Hell!!! and so much more. We even swam with dolphins at Discovery Cove. The home was well laid out and the kitchen fully stocked. There were even books, games to play, puzzles, movies and movies. The bunk room was perfect for cousins and kids to get some private time. 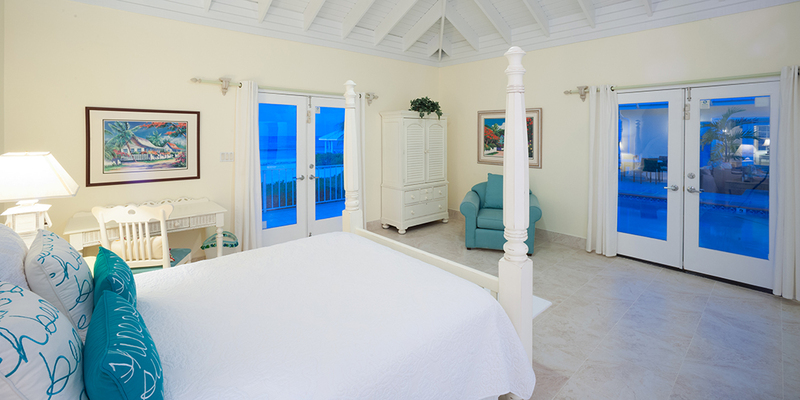 The oceanfront master bedrooms were quit, private and splendidly decorated! We will come back soon. Lovely place! So great for our family of 14 to come spend family time together for a week. This property was perfect for us in every way! We experienced much of the island - our favorites: Activities -- Stingray City, Reef deep sea fishing, snorkeling behind the house, Smith cove and cemetery beach! Restaurants -- Tukka, Kaibo, Lighthouse, Bombay Chopsticks, Rum Point, Italian Kitchen. Thanks for sharing your amazing property! To the next guests --- ENJOY!!!! This was a great home. We snorkeled every day off the beach out back, swam in the pool, relaxes in the lounge areas and gazebo, sat in the sun, took long walks and toured the island! Stingray City was the highlight, swimming and playing with stingrays. You must take a charter out there! We took a deep sea fishing trip and caught black fin tuna. We enjoyed a once in a lifetime experience watching baby sea turtles hatch right behind the gazebo. 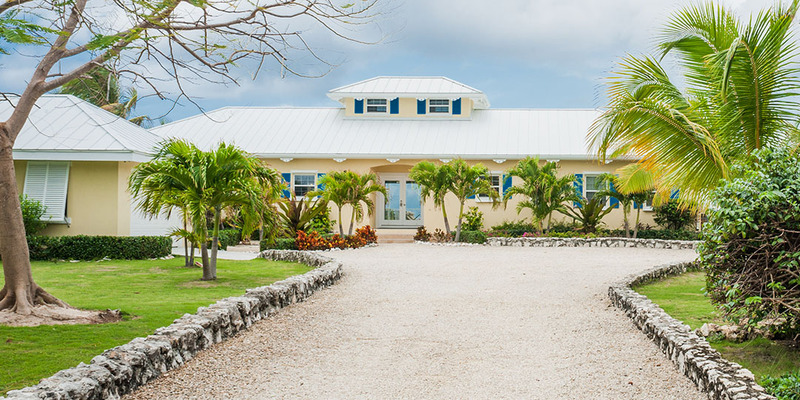 We have been to Cayman many times, but this home was by far our favorite! The house is exactly how we would have our island home. We were there for 2 weeks. Our first week was spent introducing the island to our friends there for their first visit. We went to Rum Point, 7 mile beach, blow holes. We ate at Kaibo, Lighthouse, Pappagallo, Tukka and Over the Edge. Second week was just our family and we had family time. We visited the caves down the road, Big Tree BBQ, Kaibo, Mastic Trail, snorkeled of course, diving with Ocean Frontiers, Lighthouse and a tour of Caybrew Brewery. Best part was snorkeling right out front. There seemed to be alot of conch shells - we soon found out why - a beautiful huge southern ray!!! She comes for dinner every night around 5:15. Must be 4 feet wide and 7 feet long! Saw squids, spiny lobsters and all kinds of reef fish. All in all, a fabulous place to be, weather was perfect both weeks, slight breeze, calm waters. Would highly recommend! Thank you for opening your home to visitors - great chance to experience the island and all of is wonders! This is a fantastic house right on the beach. They provide every single thing you need to have a fabulous stay. The house was immaculate when we arrived. We were a large group (12 + 20 month old). There was more than enough space for all of us. We did include the separate cottage. We never felt cramped or on top of each other. The kids were in the pool most of the week and when they weren\'t they were in the provided sea kayaks or snorkeling in the ocean. Each of us had our own bathroom as well. The house is on the north side of the island away from the hustle and bustle of Georgetown. You will need a car to get around if you plan on doing anything other than relaxing (although that would be fine as well). There are a couple of small grocery stores but if you want to have more choices plan to drive to savanna to the fosters there. There is a cleaner that comes mid week and she is really nice and does a great job. The view of the ocean is breathtaking and the beach is awesome. I highly recommend water shoes for going in the water. I would recommend this house to anyone who has a large group of family or friends. This property was absolutely great. Well appointed with a great kitchen for entertaining our large group. In addition, we loved the screened outdoor area that allowed for many late night gatherings without worrying about any mosquitos. The beds were very comfortable, and the place was very clean. Traveling group: Friends Would I recommend this vacation rental to my best friend? Yes. 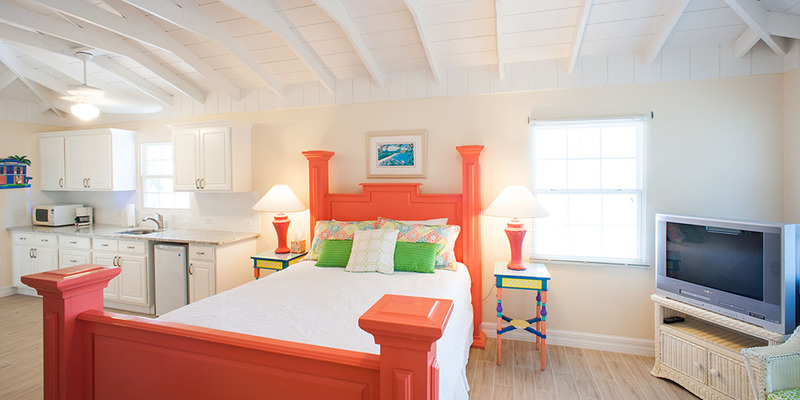 I recently stayed at Cayman Sands with my husband, my in-laws, and our 2 young girls, ages 4 and 6. This home is everything we could have asked for - as gorgeous as the pictures, but even fresher (the larger bedrooms have been painted since the online photos). It was very spacious and clean, and the location was great for us - quite private (even with folks staying in the neighbouring home) but a quick drive to Rum Point, which is a great beach for families with young kids with its calm water, extended shallows and sandy bottom. We had the pool heated - well worth it - as our daughters spent long hours in the pool. The beach area is nice - although it is true the water in this area is more suited to snorkelling than swimming or wading, it was fine for us with the pool right there for the girls, and snorkelling convenient for us. There is washed up plastic garbage if you walk off the property down the beach - which is not the fault of the property managers or the island, but an unfortunate consequence of garbage mismanagement elsewhere and tides/storms washing debris onto the shore. The villa is well stocked with kitchen items, pool toys, beach towels, etc... We took a great glass-bottom boat tour from Rum Point with Red Sail Sports - to Stingray City and for a bit of snorkeling. This was a nice way to go as the boat is smaller, so fewer people and plenty of time for everyone to handle the stingrays and get photos and video without feeling rushed at all. Did some nice diving off Macabuca near the Turtle Farm - can rent gear right there. I would recommend this villa without hesitation, and hope to stay here again in the future. Cayman is a beautiful, safe island, and easy to explore since it\'s not too big. Jim Leavitt and his staff were wonderful to deal with throughout our searching for and booking of this villa, and provided great information to us before we arrived. The cleaning lady who came mid-week (Sharon) was friendly and efficient. We just finished staying at Cayman Sands for 12 days. It is the second year in a row and I\'m sure we will return. This house has everything our family of 7 needed. It truly feels like home...we lacked for nothing. The location is wonderful...easy to get to but nice and quiet away from the craziness of 7 mile beach. The house has recently been repainted on the inside and has a very calm feel to it. 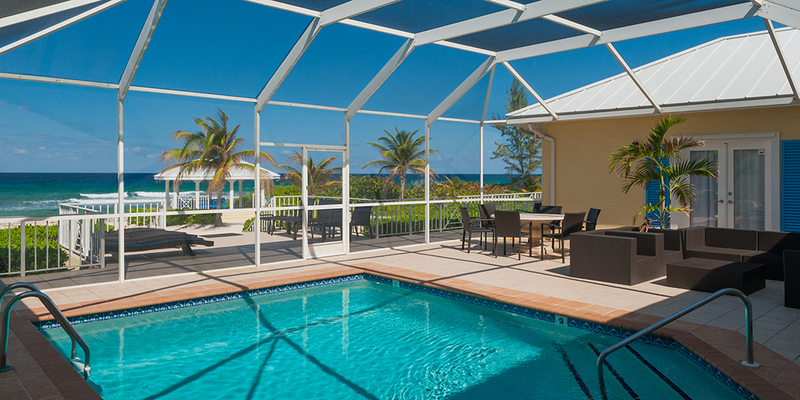 You can not beat the privacy with our own enclosed pool and the beach to yourself. It really is Paradise! 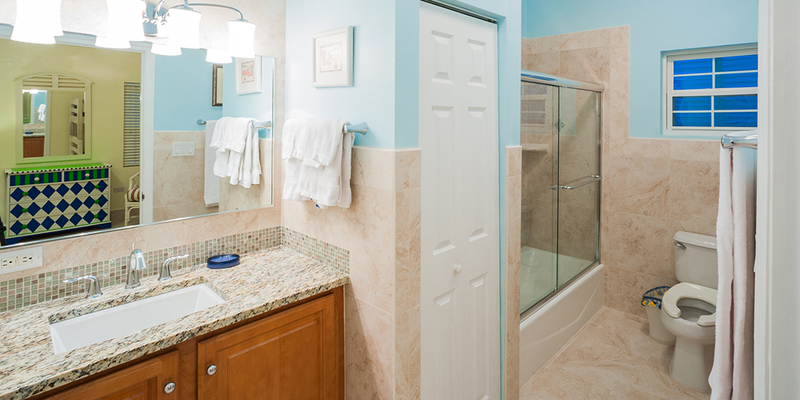 5 of 5 starsValue	5 of 5 starsComfort 5 of 5 starsLocation	5 of 5 starsCleanliness 5 of 5 starsCheck-in	5 of 5 starsService Would I recommend this vacation rental to my best friend? Absolutely! Amazing relaxed house. Big great room or socializing and nice big bedrooms for getting a bit away. Our extended family of seven had plenty of room. Covered pool was enjoyable even at night after the mosquitos are out. Beautiful beach front. Snorkel or dive from the beach. Service provided was excellent. We\'re all going again this summer...can\'t wait! 5 of 5 starsEase of booking	5 of 5 starsDirections to the property 5 of 5 starsKey pickup/access to the property	5 of 5 starsOverall condition 5 of 5 starsQuality of bedding/mattresses	5 of 5 starsKitchen/utensils quality 5 of 5 starsCleanliness of bathroom	5 of 5 starsQuality of facilities/amenities 5 of 5 starsService Liked best: very nice but family friendly and comfortable Liked least: mosquitos Traveling group: Extended Family Would I recommend this vacation rental to my best friend? Yes. Recommended for: Friends getaway	Families with young children Large groups The property was \"as advertised\". I recommend the location. The property was a good value for the price paid. The property provided wifi/internet access. My security deposit was returned on time. 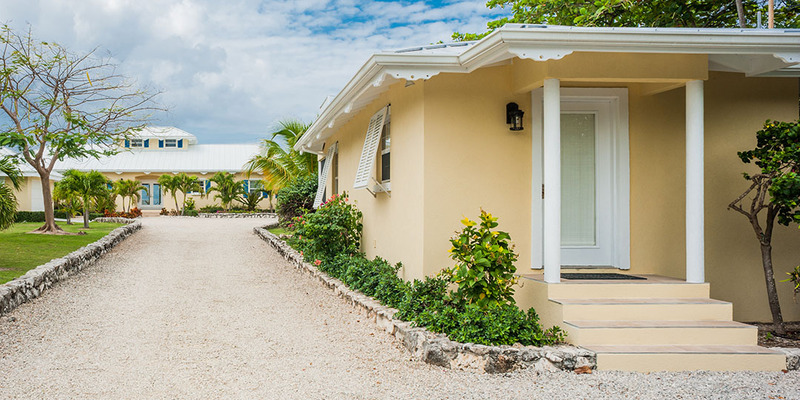 This villa is ideal for those looking to get away from the commercialism of Seven Mile Beach. However, this same distance is a trade off if shopping is your thing, though there are numerous nearby conveniences that cover all necessities when needed. The thorough information we received from Jim was invaluable and took out a lot of the guesswork of staying in someplace unfamiliar. We were able to plan shopping, activities, and all things just from the information provided! I wish I had a camera out to capture the excitement on the kids\' faces (and ours) when we arrived at the villa! It exceeded expectations and we were amazed at how well equipped it was. Everything from decor, to dishes, pots and pans - it all was more than we were expecting! I was prepared to slip out to pick up anything further we might need, but all bases were covered and if anything, we had more than what was required. The view and location were stunning and while the kids explored the home and made use of the pool (such a foreign thought to me when the ocean was right outside the door), Laura and I slipped down to the beach just to hear/feel/smell the ocean. I was surprised at how quickly we were able to relax there, and after getting groceries and kids\' rooms squared off, we were thoroughly able to enjoy ourselves. The snorkelling right outside the villa was fantastic, and early morning coffees enjoyed on the loungers by the ocean became our ritual. Our wedding here could not have been more perfect. We booked Joy Basdeo of Simply Weddings to perform the ceremony and I would highly recommend her to anyone considering the Villa for this reason. She has a wonderful charm that truly captures the island spirit and offered some wonderful suggestions to make it such a special day. We didn\'t do an elaborate wedding and it was a much more intimate thing for us and our kids only, but even so it felt like it was a lavish affair. Thanks to all involved for making our stay truly memorable! Our stay at Cayman Sands was most enjoyable. The accomodations were perfect for our large family...well appointed and extremely attractive. The only drawback on the property was the fact the ocean was too rough for young and old as well as laden with coral. However the beach itself was wonderful to sit, read, and absorbe vitamin C...the a quick jump in the pool. 5 of 5 stars Value 5 of 5 stars Comfort 4 of 5 stars Location 5 of 5 stars Cleanliness 3 of 5 stars Check-in 3 of 5 stars Service Would I recommend this vacation rental to my best friend? Absolutely! We had a wonderful time at Cayman Sands! We were visiting family on the island and everyone agreed it worked beautifully for us. The floor plan was wonderful. I really appreciated that everything was on one floor. The covered pool allowed us to enjoy the outdoors without the mosquitos. It felt like home. It had everything you could possibly need in the kitchen and wonderful towels and beautiful bed rooms. It was clean and the owner and manager were wonderful to work with. The whole process was easy and all of my questions were answered quickly. It was very comfortable and close to wonderful snorkeling and diving. We will definitely stay again on our next visit to the island! 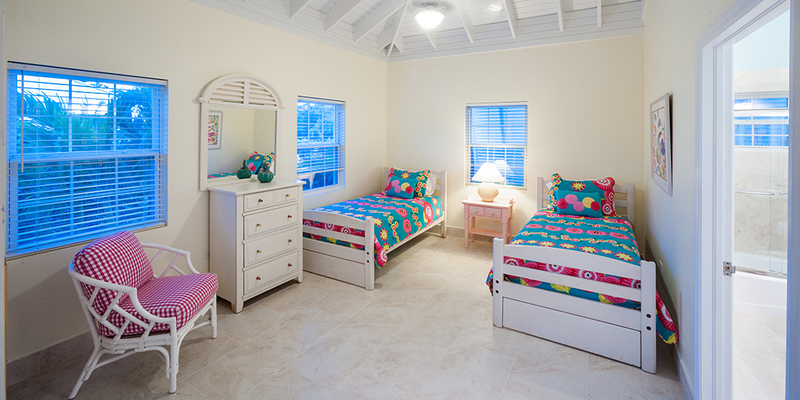 I recently stayed at Cayman Sands with my husband, my in-laws, and our 2 young girls, ages 4 and 6. This home is everything we could have asked for - as gorgeous as the pictures, but even fresher (the larger bedrooms have been painted since the online photos). It was very spacious and clean, and the location was great for us - quite private (even with folks staying in the neighbouring home) but a quick drive to Rum Point, which is a great beach for families with young kids with its calm water, extended shallows and sandy bottom. We had the pool heated - well worth it - as our daughters spent long hours in the pool. The beach area is nice - although it is true the water in this area is more suited to snorkelling than swimming or wading, it was fine for us with the pool right there for the girls, and snorkelling convenient for us. There is washed up plastic garbage if you walk off the property down the beach - which is not the fault of the property managers or the island, but an unfortunate consequence of garbage mismanagement elsewhere and tides/storms washing debris onto the shore. The villa is well stocked with kitchen items, pool toys, beach towels, etc... We took a great glass-bottom boat tour from Rum Point with Red Sail Sports - to Stingray City and for a bit of snorkeling. This was a nice way to go as the boat is smaller, so fewer people and plenty of time for everyone to handle the stingrays and get photos and video without feeling rushed at all. Did some nice diving off Macabuca near the Turtle Farm - can rent gear right there. I would recommend this villa without hesitation, and hope to stay here again in the future. 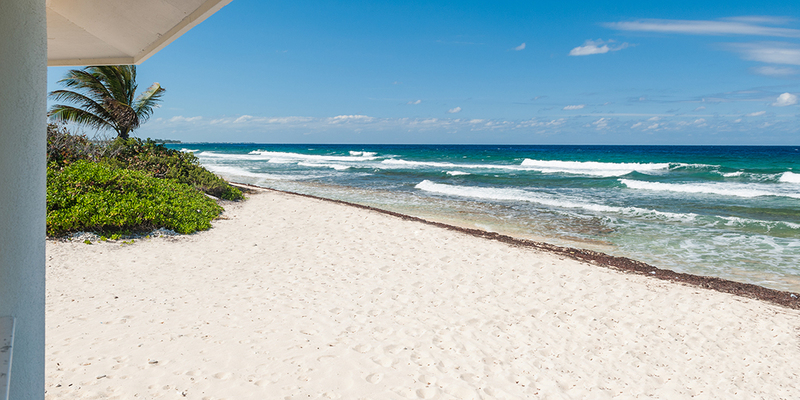 Cayman is a beautiful, safe island, and easy to explore since it's not too big. Jim Leavitt and his staff were wonderful to deal with throughout our searching for and booking of this villa, and provided great information to us before we arrived. The cleaning lady who came mid-week (Sharon) was friendly and efficient. Over all the house was great. There were two things that we were disappointed in. The pool was never warm enough to use and even whenwe called was not fixed. The beach was so full of trash and the water was so rough we had to go to Rum Point or the other side of the island to enjoy it. Thank you for the review; but the pool is not heated in low season at all. It is shut down for the warmer months. December 15 begins high season, and then the pool heater is an optional expense. Sorry that the weather was cooler; a front must have brought in the cool air and flotsam on the beach; which we have raked 2-3 times a month.